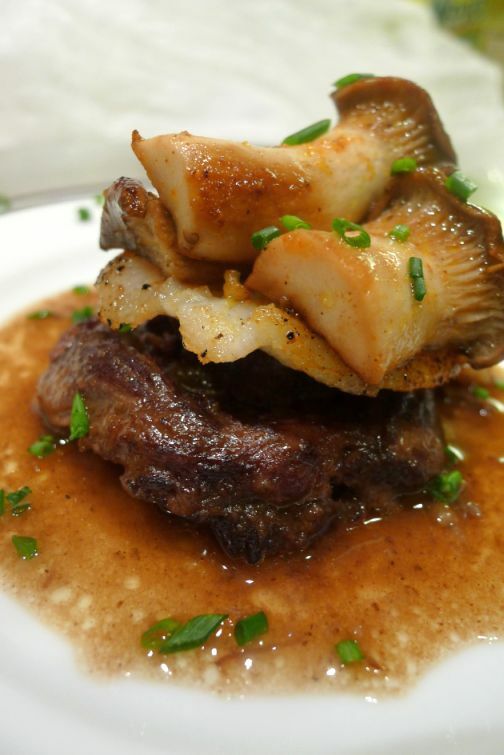 Braised oxtails are transformed into a Surf and Turf dish by adding sautéed fish and topped with sautéed trumpet mushrooms. 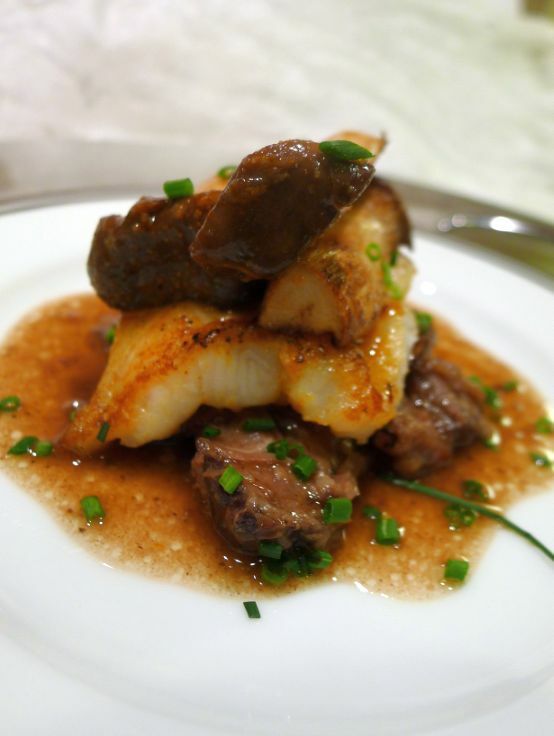 This dish is a creation of Thomas Keller from the French Laundry! 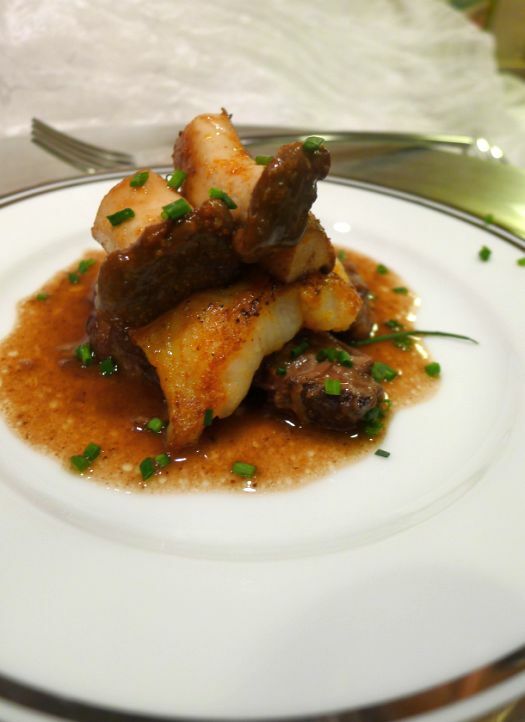 The dish called for cèpes and salsify as garnishes but both ingredients are impossible to find. Since I could not find cèpes and salsify I used trumpets mushrooms and I omit the salsify all together but I think in the end the dish still capture the essence of the dish that was created by Keller. 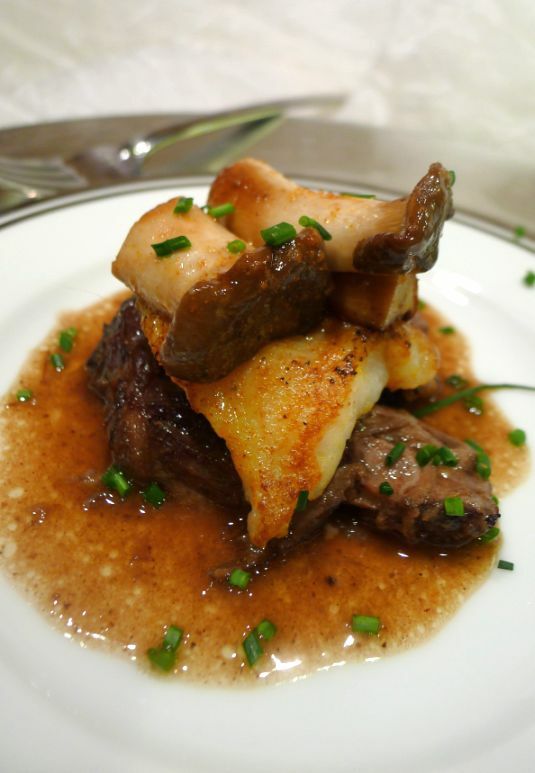 I served this dish at my French Laundry at home dinner party and because it was part of an 8 course meal I kept the portion very small. Phuc our personal Sommelier for the evening though that this dish was very creative but it was a bit difficult to pair with wine! Should the dish be paired with a white wine, a Rosé wine, or Red wine? In the end Phuc paired the dish with the Chateau Canon La Gaffelière 2000 and it was a match in heaven! 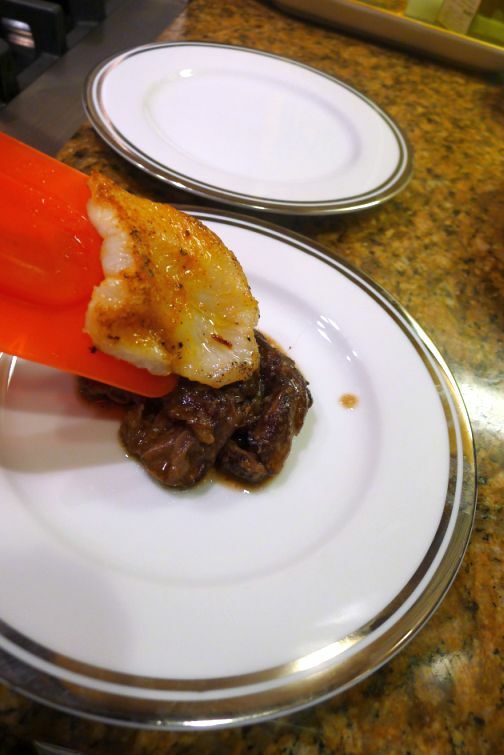 These recipe called for Monkfish and I was not able to find it so I replaced it with Cod. 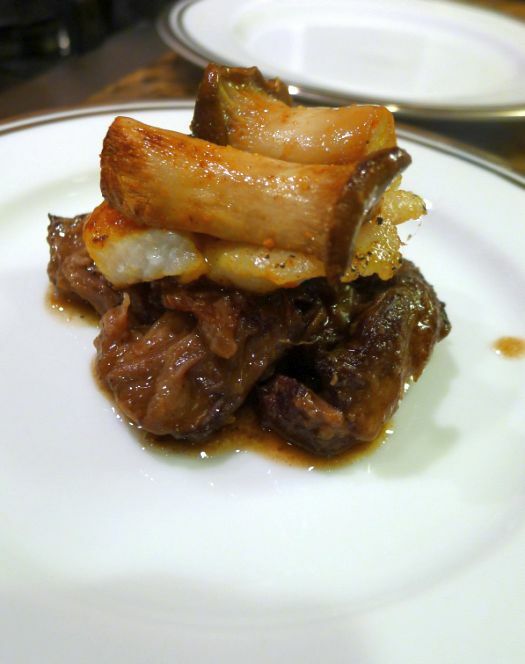 Use the braised oxtail recipe. 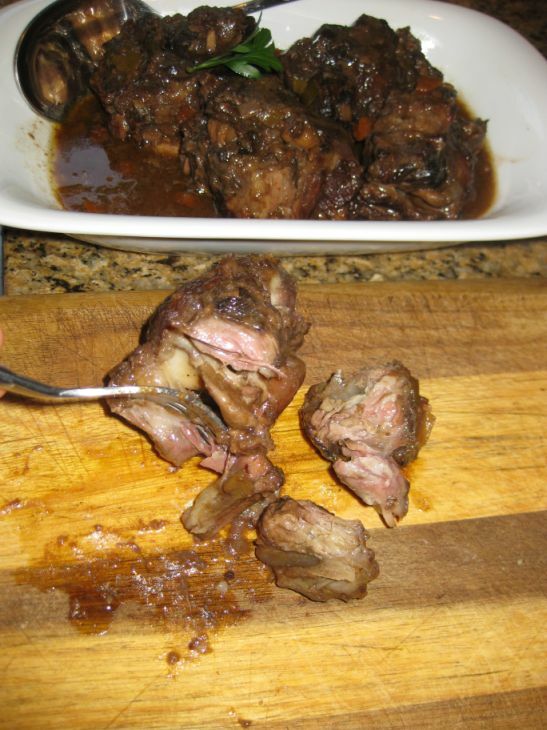 Once the oxtails are cool enough to handle, pull the meat from the bones. 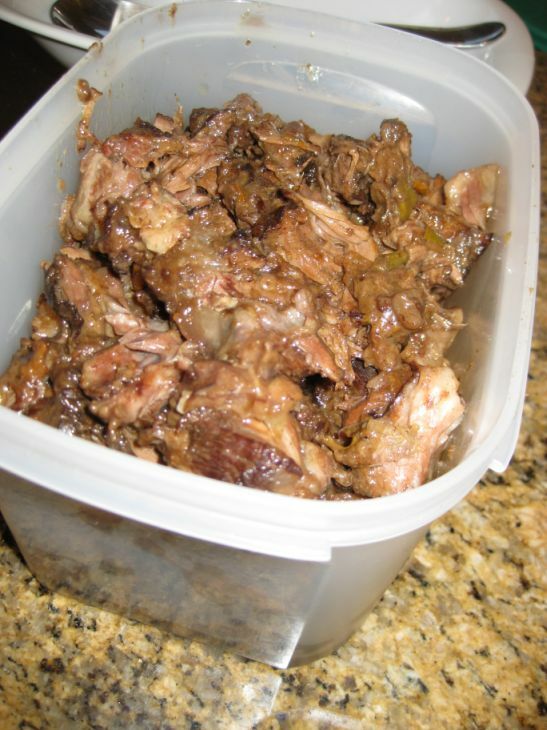 Put the pulled meat in a container and refrigerate if not using right away. Re-heat in the microwave at serving time. 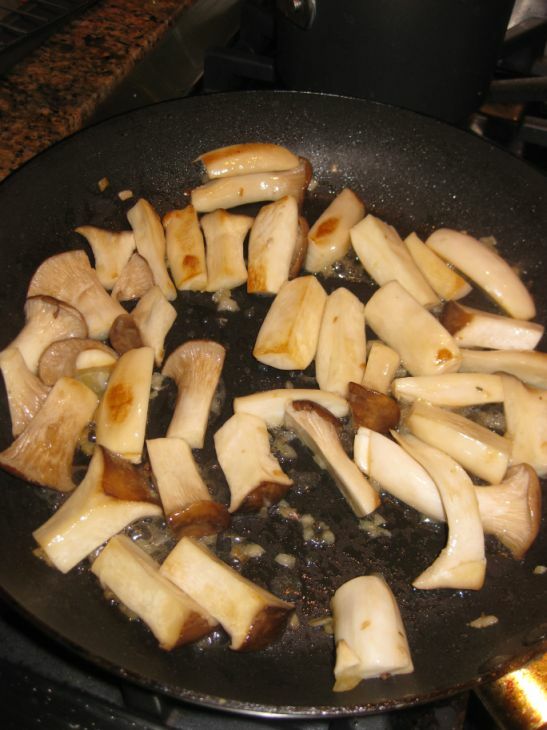 In a hot oiled pan sauté the mushrooms. 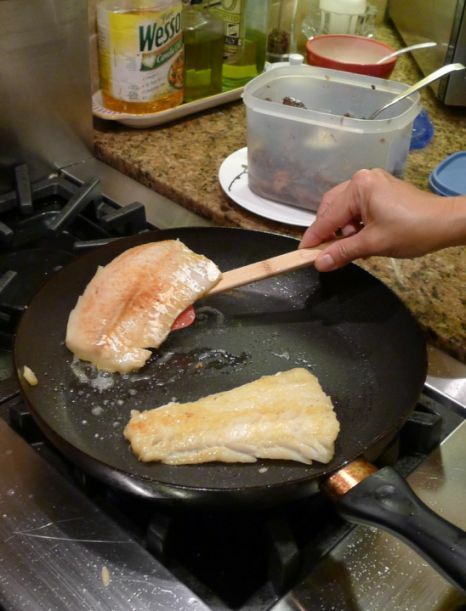 Sprinkle the fish with salt and pepper and inn a hot oiled pan sauté the fish for a few minutes until golden brown. 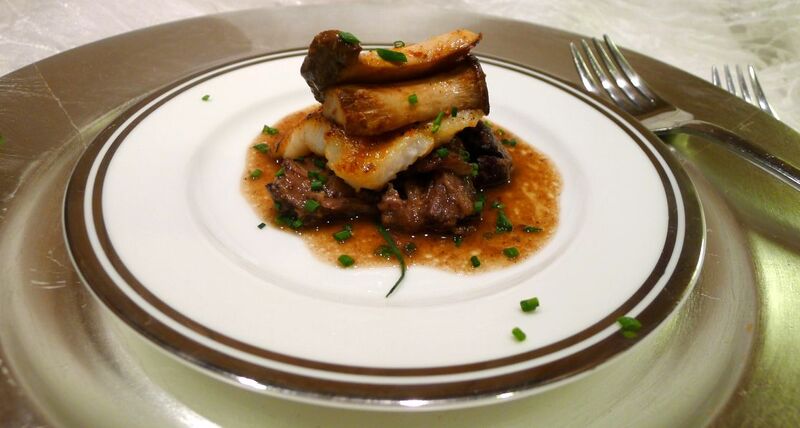 while the fish is cooking start plating the dish but putting a layer of braised oxtails. 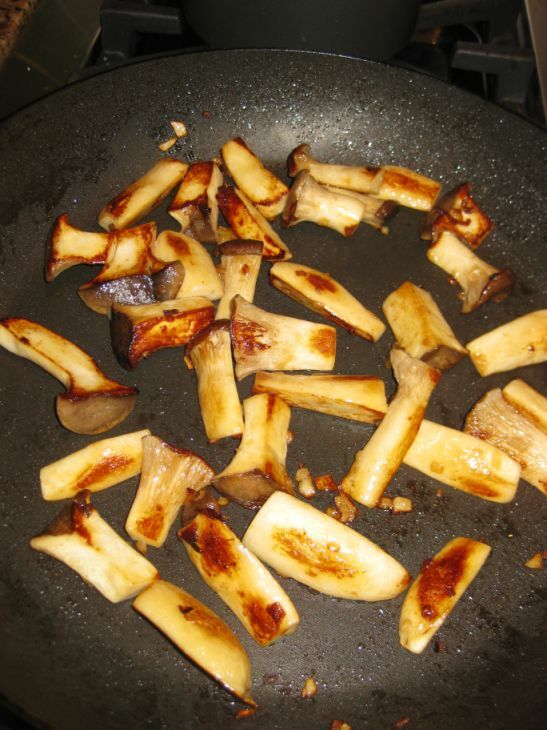 lay the mushrooms on top of the fish. 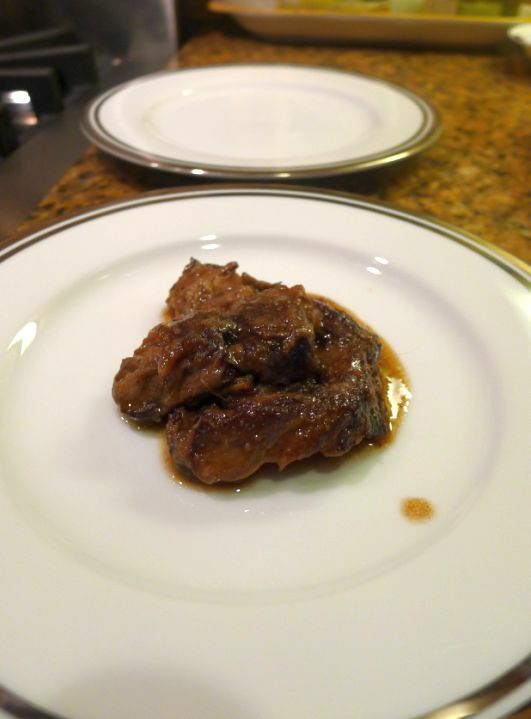 Spoon the sauce around the oxtails and it is ready to be served.